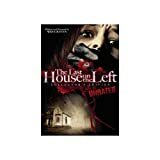 The Last House on the Left is Wes Craven's first horror movie venture and with it he created one of the most influential exploitation movies that has shaped the genre and been mimicked so many times. Due to the realism and brutality of the movie it became an arduous task to finally get the movie release with an R rating and it wasn't until the third time that he submitted it to the MPAA that he was able to release it without an X but the movie still managed to get itself banned in a number of countries and it made the infamous UK video nasty list in the early eighties. The plot will seem quite familiar to anyone that has seen many movies in this genre but when the movie was released in 1972 this was quite a groundbreaking and brave story. Mari Collingwood (played by Sandra Cassel) decides that the perfect way to celebrate her birthday is to go to the Bloodlust concert with her best friend Phyllis Stone. Her parents try to dissuade her from going to such a concert with a ruffian such as Phyllis but they cannot change her mind, they reluctantly let her go but before she leaves they give her a necklace as a present. Once they arrive in the city the two girls decide to score some dope to enhance the evening's merriment and begin to search the streets for dubious looking characters that may be able to score some marijuana. Unfortunately the dubious character that they meet is Junior Stillo, part of a party of escaped convicts hiding out from the law. Krug Stillo (David Hess), his drug addict son Junior Stillo, his girlfriend Sadie (Jeramie Rain) and his partner in crime Fred "Weasel" Podowski (Fred J. Lincoln) are the felons and they are not very nice people. They kidnap the girls and take them into the countryside for some sadistic fun. After humiliating and torturing the girls for a number of hours the criminals finish the job and leave them in the woods to rot. Looking for somewhere to stay and maybe a little more fun they make their way to the nearest house, the last one on the left I presume, which just happens to be the home of the Collingwood's who are wondering where their daughter is. The family of the missing girl feel obliged to put these lost strangers with the broken down car up for the night completely unaware that these people are responsible for their daughter's disappearance. Mari's mother discovers the necklace that they gave to their beloved child amongst the visitors belongings along with bloodstained clothes and decides to give these murderers a taste of their own medicine. The most disturbing element of this movie is the realism of the whole scenario, there is nothing in this movie that is unbelievable, in fact the opening titles claims that it is based on true events. The torture of the two teens is excessive; it is a prolonged scene with little more than humiliating torture. The mercilessness of the psychotic criminals, and the pleasure they derive from their little game, fills the viewer with the fear that these kinds of people could exist. This is a revenge movie of the extreme variety and after the horrendous ordeal that Krug and company put the defenceless teens through they deserve the deaths that they meet at the hands of Mari's vengeful parents. This movie is definitely one of the most significant exploitation movies ever made and can be intensely disturbing at times but the revenge element makes it more than just a snuff flick. Wes Craven crafted a masterpiece, with a limited budget, and took the horror genre to a new level with this one.